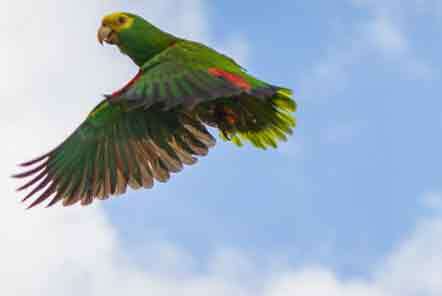 What Will You Do At The Caribbean Conservation Project? 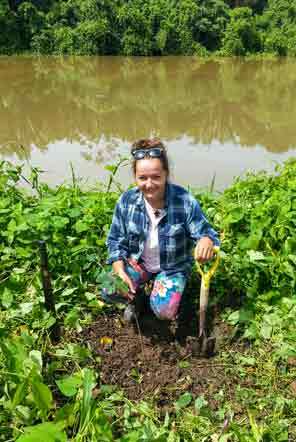 Volunteers are involved in a wide range of tasks whilst they are at the Caribbean Conservation project in Belize. The nature of conservation means that project tasks can change depending on the environment and weather so volunteers need to be flexible, but the result is a varied and exciting project! Depending on where there is most need at the time, volunteers spend their time at the Creek Base and/or the River Base research sites. Training in all research methods and conservation activities is provided and is delivered by project staff members who are experts in their fields. 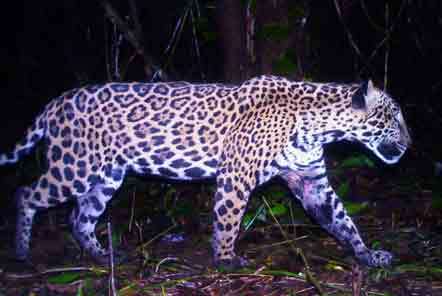 The project uses survey techniques and motion-activated cameras to monitor forest mammals and birds, including jaguars, tapirs, parrots and toucans. Volunteers will learn to identify mammals by their tracks and birds by sight and sound. You will then accompany the experienced rangers into the forest, where you will survey the inhabitants and retrieve their photographs from the cameras. Long-term population trends are used to assess threats to these species and guide management. 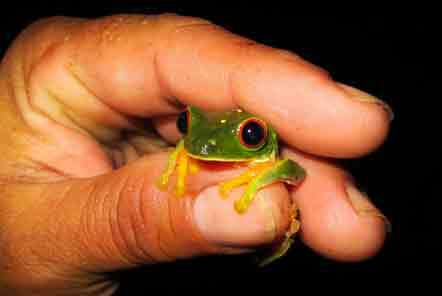 Amphibians are understudied at both the Creek and River Bases. Volunteers will assist in identifying and recording the species of frogs, toads and salamanders in the area. 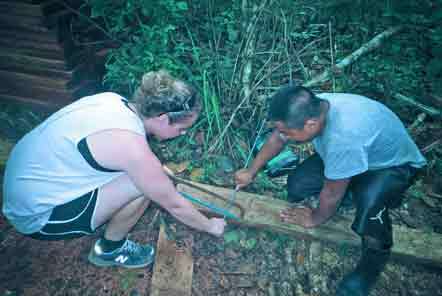 Volunteers may be involved in construction projects such as building boardwalks, renovating ranger stations and creating interpretive educational signs. With beautiful plumage and being one of the best mimics of human speech in the animal kingdom, yellow-headed parrots are prized as pets. Sadly, illegal poaching for the pet trade and loss of nesting habitat are driving the species toward extinction. The National Park is one of the last strongholds for the this species and volunteers can help to safeguard their future by installing artificial nest boxes, taking care of parrots in the pet rehabilitation programme, conducting population surveys, and assisting with raising awareness in local communities. 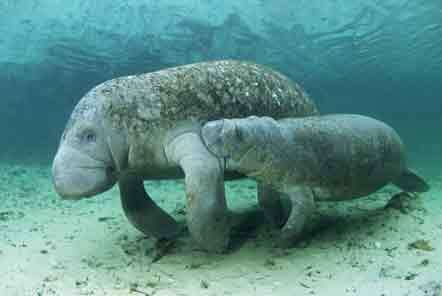 The West Indian manatee is frequently sighted in the local Marine Reserve and National Park. Volunteers learn to spot these and collect data including the location and abundance of manatees for the first long-term study in southern Belize. This data is used to inform the location of “no wake zones” where boats must slow down. While looking for manatees, there is a very good chance that you will also see dolphins! Hicatees are a species of turtle who live in Central American rivers. Volunteers may be involved in digging a Hicatee turtle pond along the river to provide a safe habitat and to enable the monitoring of their growth in order to gain an understanding of the rate at which a Hicatee turtle matures (as there is a lack of information about the species’ lifecycle). 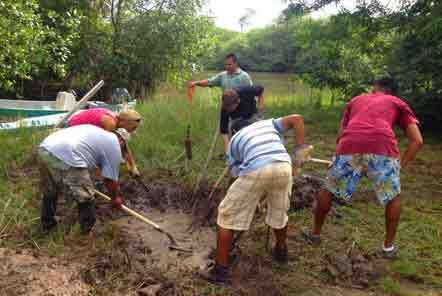 Volunteers work with the local rangers to reforest riverbanks as healthy riverbanks provide habitats for species like the critically endangered Hicatee turtle, and play a crucial role in protecting the coral reef by filtering water and preventing soil erosion. If you’d like to find out more about the Caribbean Conservation project and how you can join, click here.